Finally, Some Movement on SECOND ORIGIN Adaptation! 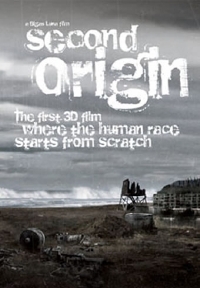 We last reported on the post-apocalyptic film Second Origin back in 2009. Wow. The film is based upon the second best-selling novel in Catalan literature, "Mecanoscrit del Segon Origen" by Manuel de Pedrolo and stars Rachel Hurd-Wood and Ibrahim Mane. Now, over five years later, we finally have new official stills from the film which looks fairly provocative. Really looking forward to this one. After a massive destruction on Earth Alba and Didac are the only survivors. There is no one left... At least, that's what it seems. A science-fiction movie about love and adventure. Two heroes of our time, struggling to survive in a world left in ruins. A world thatâ€™s starting from scratch. They must fight, at any cost, because they have an enormous responsibility. Alba and DÃ­dac are the founders of a new human race. Their love will determine a new era. Second Origin is supposed to premier in 2015, so we'll keep an eye on this one for sure. Been translated into French, Spanish, Italian, Dutch, Portuguese, Romanian, Basque and Galician. Not into English yet, though.